04.09.07 Sixteen players turned out to perfectly fill four quadrangular sections at the John Bapst Fundraising Tournament held at John Bapst Memorial High School in Bangor on Saturday, April 7, 2007. 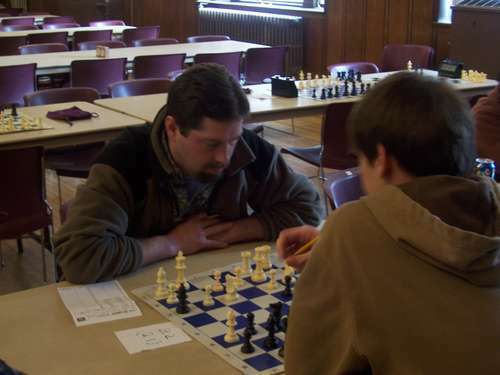 The event was held to raise money to help send the Bapst state champion team to the High School National Championship in Kansas City, Missouri later this month. 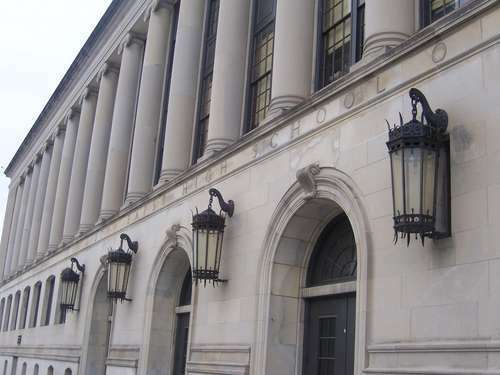 Thanks to Steve Wong for contributing to this report. 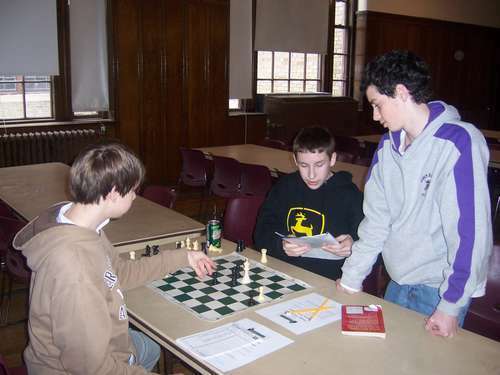 In Quad 1, top-rated Ghezai Menelik shared first place with Bapst junior Fritz Eyerer. Eyerer was able to defeat Menelik in the last round resulting in both players finishing with 2 points. Mark Woida and Aaron Spencer both finished with 1 point each. 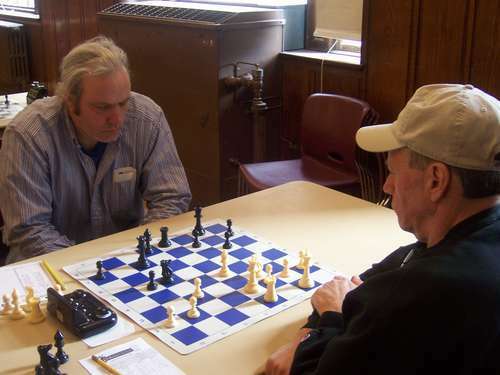 Quad 2 saw the lowest rated player, Andy Bryan, tie for first with Bapst senior Murray Bridges. 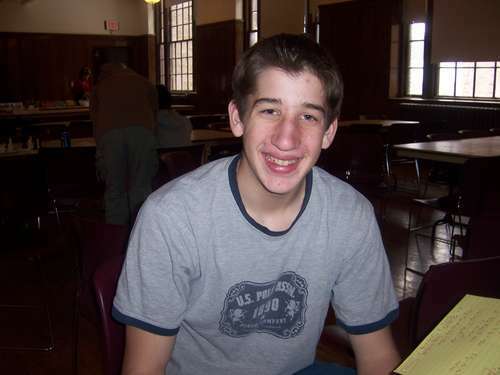 Both players earned 2 points and were followed by J. Paul Ciarrocchi with 1.5 ponits and Gabe Borland with 0.5 points. In the third quad, Nicholas McKenney and Frank Kessler shared first with 2.5 points. George Spahn took third and Gillian Anderson had an off day losing three for three. 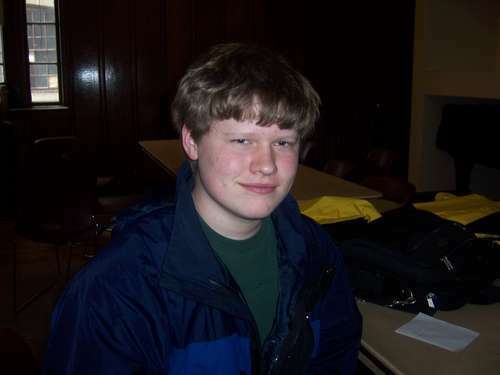 Zach Smith took care of business in Quad 4 outclassing his competition with three straight wins. Ken Ginn took second with 2 points, Daniel Honeycutt third with 1 point and Eli Spahn (who tied for second recently at the state individual K-3 tournament) placed fourth with 0 points. 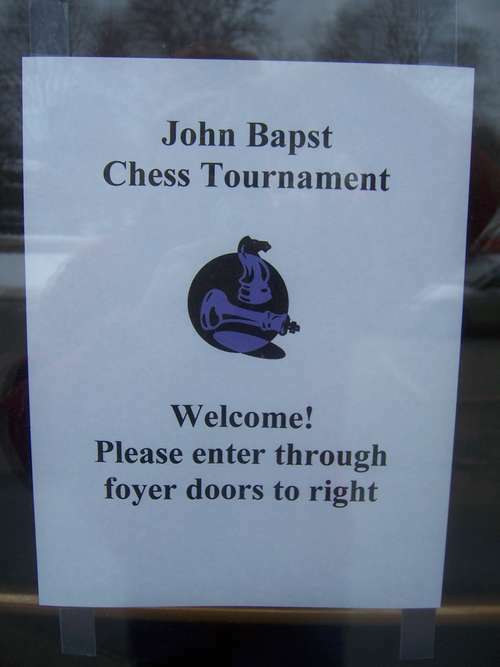 Another well organized tournament at John Bapst High School. Fritz Eyerer (left) faces Ghezai Menelik in the last round. 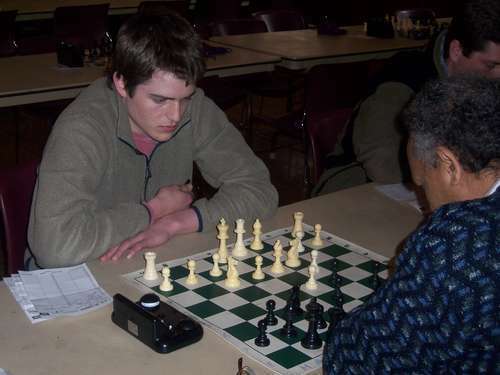 Menelik lost a bishop in the middlegame and Eyerer played an efficient endgame to bring home the full point. 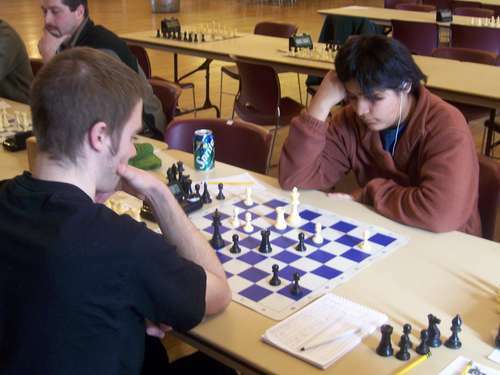 Andy Bryan (left) playing the black pieces vs J. Paul Ciarrocchi in Round 3; this game ended 0-1. Murray Bridges (left) takes on Gabe Borland. Frank Kessler is all smiles after tieing for first in Quad 3 with Nicholas McKenney (who snuck out before we could snap his picture). The only clear winner of the day: Zach Smith took Quad 4 with a perfect 3 points. 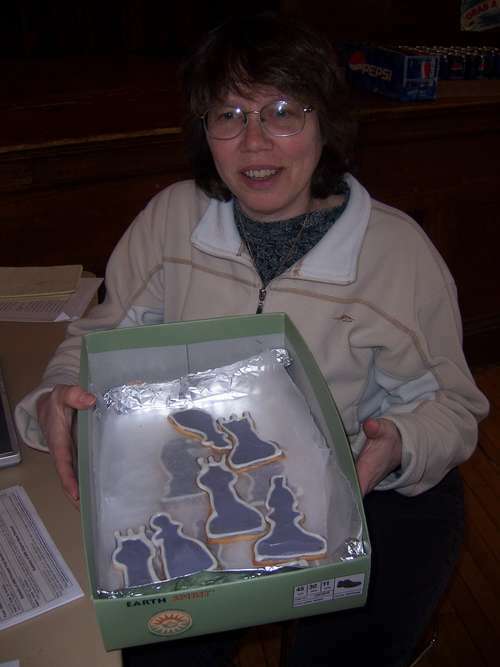 Rosemary Smith shows off her handiwork--chess cookies! "What should I have done?" Aaron Spencer, Ken Ginn and Daniel Honeycutt (left to right) look at a position in the skittles room.